Stocks of companies where promoters have pledged a high percentage of shares, like the Zee group, can be volatile. Such stocks are also prone to rumours, reports Sanjay Kumar Singh. Shares of Zee group companies took a severe pounding last Friday. 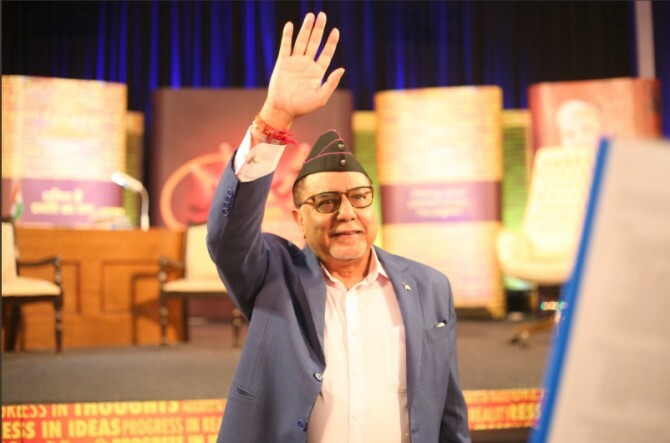 Promoter Subhash Chandra has pledged the shares in his listed companies to borrow money for paying off debts incurred to fund the group's infrastructure foray. The event highlighted the risk investors run when they buy a stock where the level of shareholding pledged by the promoter is high. Promoters generally opt for pledging as a last resort, when they are unable to raise money through debt or equity issuance, which could be because their company is already highly leveraged. They then resort to a loan from a bank, non-banking finance company, or even a mutual fund by offering their shares as collateral. The purpose could be to meet their company's working capital requirements, to fund an acquisition or expansion, to meet the funding needs of other group entities, and sometimes even to meet their personal needs. "If one were to rank the various reasons for share pledging, the most favourable one from a minority shareholder's standpoint is when debt is raised to be used in the company itself," says Jatin Khemani, founder and CEO, Stalwart Advisors, a Sebi-registered independent equity research firm. 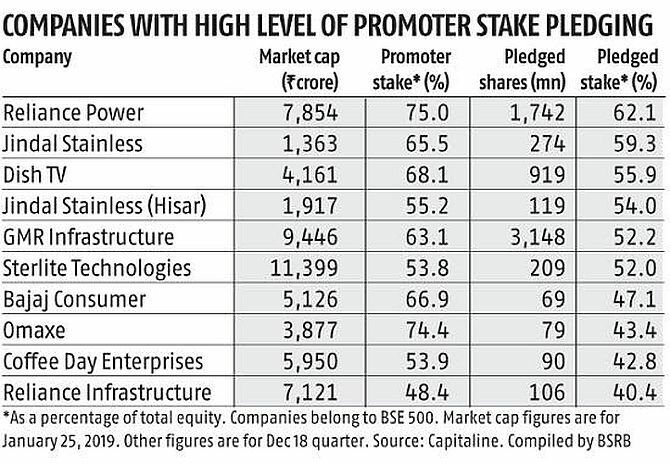 Stocks of companies where promoters have pledged a high percentage of shares can be volatile. Suppose that a promoter has borrowed Rs 20,000 crore from a bank by pledging shares. He would have to give collateral of around two times the loan amount (this is negotiable). In this case, the promoter would provide collateral of Rs 40,000 crore worth of shares. Suppose that the share price falls by 25 per cent. The value of the pledged shares would decline to Rs 30,000 crore. The lender's margin, instead of being 100 per cent, shrinks to 50 per cent. The lender will then ask for extra margin. "If the borrower fails to provide it, or if the stock price falls further, the lender may sell the pledged shares. Such selling leads to further decline in prices as the supply of those shares increases. This creates a vicious cycle, with more price declines triggering further sales," says Khemani. Such stocks are also prone to rumours. "Even widespread speculation that the company may not be able to meet the repayment obligations on its debt can trigger a sell-off," says Pritam Deuskar, fund manager, Bonanza Portfolio. Sometimes, a sell-off by lenders could happen even due to weakness in the broader market, and not due to a fundamental reason related to the company. All shareholders in the company then suffer value erosion. "If the level of pledging by the promoter is less than 15-20 per cent, it is okay. "But if it is more, such stocks can be risky," says Deuskar. Companies have to declare their shareholding pattern, and the level of promoter's pledged shareholding, every quarter to exchanges. Companies where the level of pledged shareholding is high should be avoided. According to Deuskar, investors may make an exception in some cases, say, if the company is borrowing to fund an acquisition, and the promoters say that pledging is a temporary measure. Besides understanding why the debt is being raised, try to find out if additional collateral is being offered in the form of the promoter's property, company's fixed assets, and so on. Shares alone should not be pledged as their value is very volatile. If other more stable assets have also been pledged and the level of pledged shares is small, then the risk is lower.